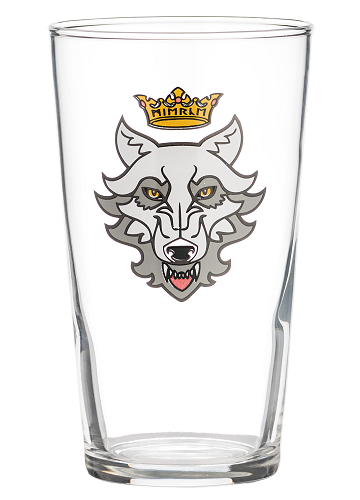 The slimline Mierce Wulf Pint Glass is perfect for a grand night in with a few pints of ale and it looks amazing thanks to the Mierce Wulf Icon. Note that this pint glass won't accept lager to be drunk from it under any circumstances. It will probably slip from your hands because of the shame.